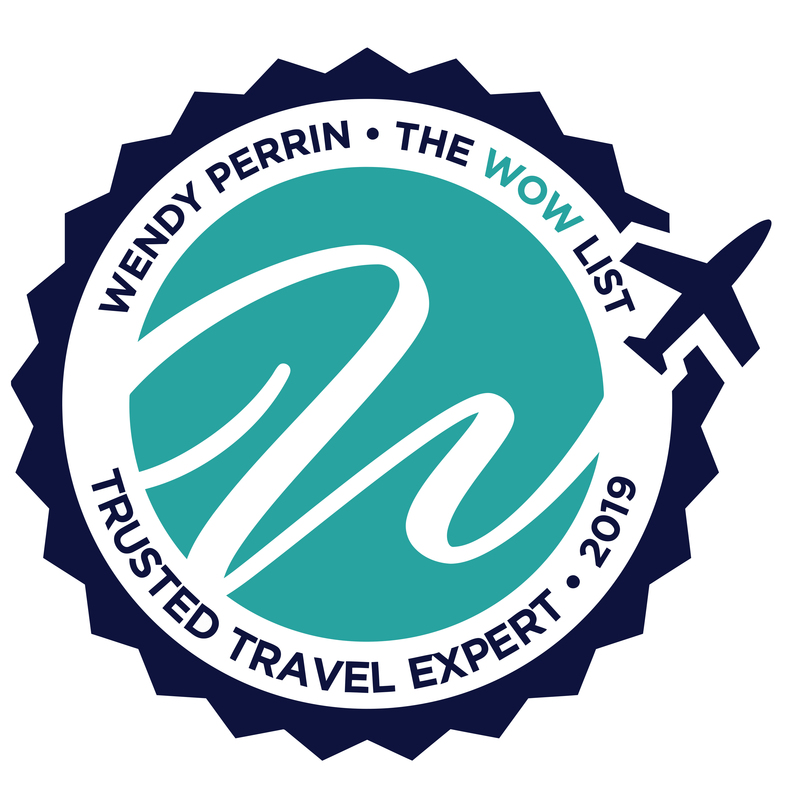 Jennifer Virgilio is on Wendy’s WOW List of Trusted Travel Experts for her expertise and connections in France, Monaco, London, Rome, and Ibiza. The reviews below are from real travelers who’ve taken trips that were arranged by Jennifer and monitored by Wendy. Don’t miss Jennifer’s Insiders Guide to Paris with Perks. This was, simply stated, the best trip my family has ever taken. This was, simply stated, the best trip my family has ever taken. The hotels were meticulously chosen based on my family’s preferences. The various tours/outings were staffed with knowledgeable and personable experts who left us feeling grateful for the experience. We had the PERFECT trip designed for us and we are still smiling 2 weeks later. The only questions that remains is – same time, next year? Each hotel chosen was extremely well located. The trip to France arranged by Jennifer Virgilio was wonderful. She had a double task of arranging the details of our visit and coordinating with my daughter’s family who came to Paris before us and who we surprised for her birthday. The surprise on a Seine river cruise was spectacular and my daughter and grandchildren were shocked, and pleased. Jennifer arranged for a rental car, all hotels and recommended events and restaurants as we drove from Paris to Strasbourg, Colmar, Dijon, Burgundy and back to Paris. Each hotel chosen was extremely well located. An occasional room was challenging regarding the bathing facilities, but in Europe that is to be expected. There wasn’t a hotel that we would not go back to. The car that I rented from the company Sixt worked out well. They included a GPS for which I was not charged, and gave me a car with an automatic transmission, again with no extra charge. We thoroughly enjoyed all of the Christmas markets especially in a small town called Kayserberg, near Colmar. I would have liked to spend a bit more time touring the Route of Alsacian Wines and/or the wine region of Burgundy. The museum and the monument four day passes in Paris worked out well. The tour of the Eiffel tower was superb, and the guide we had was terrific. The WOW moment tour of the Garnier Opera House was very special for all of us. The concert at Saint Chapelle was amazing but the venue was very chilly and the dinner at Les Antiquaires a tasty ending to our sixteen day visit. When I return to France, I will be more that happy to have Jennifer make all arrangements. Our family of 5 including 3 teenage boys were going to be stopping in Paris for 1 day and two nights on the way home from a trip to Morocco. I contacted Jennifer to create a full day highlight tour of Paris. The guide, Marie ange, was incredible. She is a historian and provided the perfect depth of historical analysis my very inquisitive kids needed. The driver and guide team allowed us to see the highlights of Paris in an organized, efficient, and interesting way all in 8 hrs. For longer and future trips I would definitely contact Jennifer again. She arranged all the skip-the-line ways to get into the various tourist destinations. Jennifer arranged for great guides to the various destinations we wanted to visit. She provided direction and reassurance during the protests in Paris. She arranged all the skip-the-line ways to get into the various tourist destinations (such as the Louvre). Guides were all fabulous, able to relate to our children and provide great historical and interesting information about the destinations. Also, she was able to send us a list of all the Christmas markets and the best tea houses in Paris for us to explore on our own. Jennifer and her team were very hands on during both planning and the actual trip. While we had visited Paris many times before, we wanted something a bit special to celebrate a birthday. We were there during the gilet jaunes protests and were able to navigate a remarkable and safe journey. Jennifer was personally monitoring a Plan B if we needed it before we arrived, and someone was in touch from her team every day while we were there. Jennifer created a very special, private day for us in the Champagne region as well as tickets to a sold out ballet in the Palais Garnier; something I had been trying to do myself. Not only did she garner the tickets for the night we wanted, but they were spectacular seats! All transportation and other efficiencies were also seamless and I wouldn’t hesitate to recommend anyone reach out to Jennifer and her team to make your trip just that much more special. Jennifer and her team allowed us to make the most of a short trip to Paris to celebrate my wife’s birthday, along with presenting her with the diamond ring she never got when we first got together 10 years ago. Through continuous communication, Jennifer was able to suggest different things to do as well as suggestions regarding my wives surprise gift presentation. The highlight was giving her the ring in a renewal proposal aboard a private yacht. I originally requested a Venetian boat which at the last minute had mechanical problems rendering it unavailable. Jennifer quickly replaced it with what was Sophia Loren’s private yacht and assured me furnishings and seating would be altered to be more intimate and romantic. The result was spot on resulting in the highlight of our trip. This was the second time Jennifer helped us plan a trip. Our travel itinerary started in Amsterdam and although she does not cover that city, she arranged our train travel to Paris from Amsterdam. This included a person to meet us at the station in Paris and take us to our driver then on to our hotel. This was a great service and very time-saving! Jennifer arranged several tours for us, including a guide for a tour of the Marais neighborhood. To our surprise, the guide was the same one we had during a previous stay that Jennifer arranged. Once again he was terrific. The weather that day was much colder than anticipated and he immediately found a wonderful shop so I could purchase a sweater! He knew the history and personality of the Marais so well and now it is a favorite for future trips to Paris. All of the guides Jennifer has recommended, including in London, have been exceptional. She also secured museum tickets and gave great restaurant recommendations. Jennifer and her team were always accessible and continued to check in with us during our trip. Jennifer Virgilio and her team were exceptional. From the early planning stages to the very last hour of the trip, each member of the team performed with the highest standards. During the planning phase, Jennifer reached out personally to ask about my goals for the 3-week trip. She suggested events such as the Ryder Cup and then was able to secure tickets to the already sold-out event. They were also able to secure Moulin Rouge tickets on days that were already fully booked and unavailable to the general public. Each driver or driver/guide that I was assigned was friendly, knowledgeable and extremely professional. Perhaps my favorite service was the departing airport greeter. We went through the ticketing line, customs, and security with great ease….in about 10 minutes. In all my travels, I have never encountered service like that. Working with Jennifer and her colleagues truly was a pleasure and helped to create many memories of a lifetime! Jennifer helped us plan two nights in Paris and it was fantastic. We opted for a greeter at the airport who sped us through customs – well worth it – and a transfer to our hotel. She gave us a number of hotel options and we settled on a great hotel in Le Marais neighborhood. Beautiful hotel and a great neighborhood – not too touristy. Jennifer also arranged a private tour guide for the day. He was friendly and knowledgeable and we were able to see a side of Paris we otherwise would not have. I should also note the communication during the trip was great. We received text messages with contact info for the airport greeter, driver and tour guide. Overall, we had a great time and have Jennifer to thank for it. I would definitely work with her again. Jennifer & Fiamma were friendly, helpful and did an excellent job for us in Italy. We had little flexibility, but having said this Jennifer and Fiamma were enormously helpful and responsive. Would give both a 5 out of 5. Jennifer and her team were masters of details, efficient and very supportive throughout the entirety of the trip. 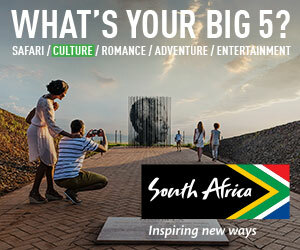 We started the planning process for our trip in January. We worked up an entire itinerary for Labor Day which we then put on hold because I was going through an interview process where I didn’t know what my schedule with a new job would look like. That process went on for a really long time, and Jennifer kept checking in with me to let me know she was still holding everything, but not pushing. Finally, around July 15th I finalized my acceptance of a new position and knew that I would have 3 weeks off. This did not include the period of our original trip. I contacted Jennifer and she immediately reworked our entire trip including rebooking the hotel, remaking our reservation at Arpege, and rejiggering some elements since we were now traveling during August when many things were closed. The service did not stop with the booking process. Each night I received a text from Jennifer’s teams on call agent with our schedule for the next day including the phone numbers of our drivers or guides. This made it very easy for us to get in contact with people, something that proved very helpful when our train to Reims was 1.5 hours late. It was also extremely useful for when we bought two cases of champagne thinking we would just check them with our luggage and forgetting that we had to get them home on the train to Paris. Some quick texts to the agent on call solved the issue. They arranged for someone to come and pick them up from our driver and then ship them to us in the US. Jennifer was also very good about helping us with selecting a hotel. I had just stayed at the George V and (though I looooove it there) was looking to try something different. She was excellent at letting us know what rooms had the best Eiffel views and broke down the cost of two rooms versus suites in an extremely clear fashion. We ended up staying in the Eiffel terrace suite and the Shangri-La and it was worth every penny. I slept on the pull out but had my own closet and shower. And we had a huge terrace (only one at the hotel!) that had a full view of the Eiffel. (NB FYI the food at the Shangri-La is terrible! Don’t go there if that matters to you!) One other thing to note is that everything Jennifer suggested, all tours, hotels, guides, etc, was extremely expensive. I would plan on spending at least $3000/day if you book with her. I used Jennifer to book some hotels and add some special experiences for my recent trip to the Loire Valley in France. She provided two wonderful hotels where we were given excellent rooms at well-located properties for our touring by rental car. Our special full day tour to Chambord and Chenonceau was a highlight, and when questionable weather canceled our evening balloon ride, she arranged a one-hour private Helicopter tour the following day. She also secured hands down the BEST table at the Jules Verne Restaurant in the Eiffel tower, thanks to her relationship with the management!! Jennifer really delivered some pinnacle experiences that greatly enhanced our trip, which was booked less than 6 weeks out. She also alerted us to the fact that the French Open was going on in Paris, which would impact crowds at the various sites. Jennifer Virgilio and her team were terrific. All were helpful, accessible, organized, knowledgeable, reliable, thorough, responsive … making the pieces of our trip run smoothly. This outstanding service freed us from travel worries. For example, in the morning we needed to get from the hotel to Gare de Lyon, there was heavy rain. It was rush hour and finding a taxi would have been impossible. Instead, we had a reliable limo, right on time, and a greeter at the station waiting to assist. So glad to know of this excellent service. Never would have known without Wendy Perrin website and WOW list. Jennifer assisted us during the planning stages and Marie, on her team, assisted us during the trip itself, checking in with me each day and reminding me of the next day’s events and where to meet our guide. We spent 4 days in each of Normandy, Brittany, and Paris. We are a family of 5 (3 kids, aged 9, 15 and 17), so we needed a variety of activities to engage the youngest to the oldest of our kids, and Jennifer and Marie did just that. All of our guides and trips were fabulous. Our favorite guide was Isabelle in Paris, who took us to Versailles and to our WOW moment on a private boat ride down a canal in Paris, complete with a skipper, picnic, and wine. It was amazing!! We love boats and being on the water, so it was perfect! Isabelle was warm, funny, engaging and extremely organized. She was also able to maneuver us to avoid several long lines at Versailles on an incredibly hot, crowded day. She has a passion for France and Paris, and it shows. She was very knowledgeable about French history, Paris itself and Versailles. I studied in Paris in college, and I know more than the average traveler about France and its history, and I learned so much from her. She was an absolute delight. Another highlight was our day trip with our historian to D-Day sites. Jennifer planned several day trips that were specifically designed for our kids, where they were able to see some important places in a way that made them fun, from a treasure hunt in the Louvre, a bike ride around Paris, and a crossing of the Bay of Mont St. Michel. We loved all of the places we stayed as well, which were all first-rate and all recommended by Jennifer. Jennifer and her team were extremely organized and detailed-oriented. We didn’t have one issue or mistake during our stay, which is amazing considering we changed hotels 3 times with multiple guides and tours. I knew that if we did have an issue that it would be taken care of, as we were in constant contact with Marie and her team (which was a tremendous relief). We will return to explore another part of France, and will definitely contact Jennifer and Marie again. We traveled with two teenaged grandchildren to Normandy, Brittany, and Paris. Jennifer did a wonderful job. All the guides she arranged for us were excellent. Everyone was on time and full of information as well as helpful and pleasant. One outstanding guide was Francois in Normandy, at whose chateau we had lunch and met his family. I highly recommend Jennifer Virgilio and her team! In planning a trip to Monaco for our family to see the 2018 Monaco Grand Prix, Jennifer and Andreas Eberhart put together a fabulous visit, including a hotel with upgrades, restaurants, and a fantastic day on a yacht. Even with some last minute changes on our family’s part, her team was responsive and proactive in making sure everything went smoothly. It was truly a luxury experience and completely problem-free thanks to Jennifer and Andreas. Jennifer Virgilio is a true professional and a very lovely person. She understood our needs and catered to them. We would gladly hire her again. I cannot say enough about how wonderfully responsive Jennifer and her crew were for me. Contact throughout planning was always prompt and thorough. During the trip, I had a couple of questions or uncertainties that were responded to with desired results and with lightning speed. It was such a comfort to know that this team was available when I needed them. Aside from the reliability provided, the quality of the transport and guide services were superb. Our drivers were all prompt, friendly and eager to please ( even when we were complete jet-lagged duds). Had a small group tour to Mont St Michel that was wonderful and a highlight of our trip. We also had a day with a driver and Historian guide that was nothing short of amazing. Not sure where they found this gentleman but he was so knowledgeable, thoughtful, funny and like a magician with all of the added touches he provided. Truly outstanding and was probably our favorite day. Jennifer Virgilio was prepared to do anything I expressed an interest in and was happy to work around my existing plans. Everything she arranged (private tours and hotel) was A+. She followed up constantly during our trip to make sure everything was going well. Next time I will book more hotels recommended by Jennifer—or, by Wendy Perrin’s tour planner for the country I’m headed to—because the hotel she booked for us was the best! I would rely more on the WOW specialist next time. Thank you! Jennifer and Mara on her team were excellent and so easy to work with, our entire trip was so smooth and easy, everything was perfect. While on vacation we would get an evening text update for our following day’s schedule, who our driver/guides were going to be and times of events scheduled. The hotel they recommended was great, not too high up in Positano and not too close to town, just the perfect mix, and the views! They booked lunch reservations for us on Capri and provided a wonderful list of dinner option for us to select from while in Positano. Our driver to and from Naples to Positano was the best, he was knowledgeable about the region and his lunch recommendations were excellent. Our guide on Capri was so fun. If we had attempted Capri on our own we would have tried to squeeze in too much without being able to enjoy it, even though we didn’t get to see everything we wanted the day was wonderful. Our private guided tour of Pompeii was excellent, the time flew by, it was so interesting. Yet again if we had attempted Pompeii on our own we would have wandered around looking at things and waiting in line but our guide was able to smoothly guide us to the highlights all while telling us the wonderful history of Pompeii. We got way, way more out of the trip. We just had a wonderful trip to Paris, with much help from Jennifer Virgilio and her team. I highly, highly recommend them and would absolutely use them again. We got way, way more out of the trip than we possibly could have on our own. We had the skeleton of a trip with a flight schedule, free hotel accommodations in Paris (Hyatt points) and a week at Le Chevrefuille in the Dordogne, but that left us with some significant blanks to fill in and no knowledge of how to best use our time or get around. Jennifer stepped up with fantastic suggestions, booking us for two nights in Tours and a cruise on the Loire River, two nights in Bayeux with time to see the D-day beaches and Tapestry, and a behind the scenes tour of the Opera Garnier. She arranged a rental car for us upon leaving Paris and the agency was right across the street from the hotel! Emmanuelle, our guide in the Dordogne, was an absolute delight. I have had tour guides who carefully watched the clock to make sure they did not go beyond their paid shift. Emmanuelle went hours past 5 pm. At first I felt like we were imposing upon her, until I realized this is a guide who genuinely LOVES what she does. I understand not all planners will work with travelers who have partially booked their own trips, so I thank Jennifer for that as well. It was a glorious trip with memories that will last a lifetime. Jennifer was great at listening to our needs and planned a great itinerary She chose the right guides who knew how to gauge their tour to teenagers. Everyone was extremely flexible and provided a fabulous experience for our family. She chose wonderful guides who gauged their chats to our family’s (teenagers) needs. We visited Notre Dame, The Louvre and Versailles and the kids were engaged throughout. The guides were extremely flexible and interesting resulting in a terrific experience in Paris. Jennifer was amazing. We wanted to have private time without the crowds at the Musee d’Orsay in Paris. As huge art lovers who appreciate the Impressionists, this would be the pinnacle of our short trip to Paris. We were able to access the Museum before it opened to the general public. and we had the entire fifth-floor Impressionist galleries to ourselves. Jennifer’s team offered us opportunities to have insider guided tours of Paris’s museums, including the Louvre, but due to our short trip we didn’t book those this time. We would absolutely call Jennifer for our next trip to Paris. Thank you for giving us such a memorable moment as we celebrated our sixth-year anniversary. We used Jennifer for our trip in Europe last October, she helped us coordinate our hotels and itinerary in Burgundy and Paris. Jennifer was user-friendly, easy to communicate with and the trip was flawless, could not have been more perfect. I would highly recommend using Jennifer for future travel in Europe as our experience was outstanding. Nancy and I just returned from a one week trip to Paris that Jennifer and her team arranged. The planning stage of the trip with Jennifer was enjoyable and easy. Jennifer listened to what we were seeking and then offered us various options from which to choose. This ensured that we experienced the Paris we wanted. Jennifer suggested 5 hotels for our stay. We ultimately chose Le Burgundy which was a small boutique hotel offering a great location, plenty of services and a very helpful and caring staff. Jennifer also matched us with our tour guide, Tatiana. This was a great match as we spent 4 days with Tatiana where we learned a lot, saw a lot and spent time conversing with Tatiana about the culture of Paris. Jennifer also arranged a fun day of going to a market with a chef and then going back to a cooking school to make lunch with the ingredients we bought at the market. I would also recommend seeking dinner suggestions from Jennifer before leaving for Paris. We ate well when in Paris and we did this and various types of restaurants from a bistro to a couple of Michelin starred venues. Finally, Jennifer and her team were constantly in contact while we were in Paris in order to make sure we were enjoying ourselves and if there was anything else we needed. I would highly recommend Jennifer to anyone seeking a special vacation in Paris. Jennifer is great. We will definitely use Jennifer and her team when we return to France. Jennifer Virgilio was an outstanding resource in planning our much-needed jaunt to Paris. We hadn’t been back to Paris in over 20 years and couldn’t wait for this trip. We traveled from August 31 to September 9, 2017, my husband and myself. We request one hotel to stay in for half the trip and were up for a recommendation for the second half. Jennifer came up with a treasure that we would not have known about without her input. She organized our flight arrival, from reception at the gate, gathering luggage and then handing us off to our driver – seamless! We didn’t require a lot of hand holding as we are “seasoned” travelers, but do appreciate insider knowledge at our destinations. Jennifer coordinated a day trip to Giverney with a wonderful guide/driver – a truly marvelous day. She also reserved a fabulous lunch for us at the Jules Verne Restaurant within the Eiffel Tower – an experience we had always wanted! The hotels gave us wonderful upgrades, welcoming treats and we felt like we were very important guests and the hotels. Each were a true delight. I absolutely would recommend Jennifer and her team – even though we were late in the planning stages to contact Jennifer – she and her team came through for us – we would certainly contact Jennifer should our travels take us back to Paris, Rome or Monaco. A last minute 4 day stay in Rome. Jennifer Virgilio and her team, particularly Alfonso, helped me plan a last minute 4 day stay in Rome. It was flawless. First, I had found a hotel that I wanted to stay in and they confirmed that it was a good choice –which was a huge help given the number of hotels in Rome. Jennifer then helped me put together an itinerary that involved a very private viewing of the Sistine Chapel, a fabulous tour of the Forum and Pantheon, and a trip out of Rome to Tivoli that was outstanding–all with incredibly educated guides–archeologists who were both truly wonderful to spend the time with and incredibly knowledgable. I cannot say enough what a difference it made using Jennifer. And my husband and I usually eschew using tour companies and guides. She is such a lovely, helpful person with a wealth of knowledge because she lives in Rome. When I called at the last minute she was obviously extremely busy with other things but never once did I feel like I was not her number one client. She and her team helped with wonderful dinner reservations, many of them last minute. The whole experience was first rate. Bayeux, Normandy, and Paris.Jennifer and her team provided a smooth transfer from the airport in Paris to Bayeux. The hotel, Villa Lara, was a wonderful choice for our stay; it was in the middle of this charming town; and though built to blend with the older architecture, it was relatively new. Our guide for a day-long tour of the Normandy beaches and the American cemetery was excellent. Jennifer also provided good restaurant suggestions, as well as suggesting sites we could see on our own in Bayeux. Jennifer and her team provided a smooth transfer from the airport in Paris to Bayeux. The hotel, Villa Lara, was a wonderful choice for our stay; it was in the middle of this charming town; and though built to blend with the older architecture, it was relatively new. Our guide for a day-long tour of the Normandy beaches and the American cemetery was excellent. Jennifer also provided good restaurant suggestions, as well as suggesting sites we could see on our own in Bayeux. Even though we were meeting friends in Paris and did not need Jennifer to set up tours for us there, she helped us find a hotel close to our friends and to public transportation. She was also very attentive during our stay and checked in on us regularly to be sure that all was well. Throughout our planning for this trip, she and her staff were attentive to our desires and were always available to answer questions. We would definitely use her services in the future. Jennifer Virgilio and her team, arranged for some great experiences including a private cooking class with a top chef, a cheese (Camembert) and apple (Calvados) tour with a an agronomist who was truly fantastic that included a picnic lunch he had prepared, and a very informative D-Day tour with an English gentleman who was extremely knowledgeable. All the guides were personable and very knowledgeable. In all cases, they had arranged for a lunch and we asked that they join us – talking with them and hearing their stories, for us, is important. Also, we would highly concur with her recommendation to stay at the Villa Lara in Bayeux (where we were upgraded to a suite) and her restaurant reservations. We hope to go back and would use her again. Our private River Cruise on the Seine was wonderful. Jennifer and Queen of Clubs arranged wonderful tickets for us to the Women’s Final at Wimbledon and arranged restaurant reservations there, where we enjoyed lovely meals. Transfers were all efficient and comfortable in wonderful automobiles. Two hotels (The Regina in Paris and The Milestone) gave us upgrades when we checked in and provided excellent service as well. And our private River Cruise on the Seine was wonderful. My only wish would be better seating at the Globe Theater (partially obscured view) and at the Opera Carmen in Paris. Jennifer is candid, smart, charming, and incredibly responsive. Jennifer is candid, smart, charming and incredibly responsive. She made some excellent overall trip proposals and was very clear about which ones were new to her. We are experienced travelers and speak French so we preferred to drive ourselves and we also made some bookings directly. This was fine with Jennifer who worked around our plans. She organized several terrific private tours (Montesquieu’s chateau, also vineyards) and dinner reservations which were great choices. We called for some help with a wifi issue and a last minute reservation and her team was right on it. We spoke upon our return and she was very interested in hearing details to add to her knowledge of the Bordeaux region. Jennifer was most attentive. Quick to respond and to offer excellent recommendations and thoughtful attention to details. Jennifer Virgilio made the logistical arrangements for much of our March 2017 trip to London, Bruges, Normandy and Paris. She went above and beyond just making reservations for us. She had our Eurostar tickets delivered to our hotel in London and our train tickets from Caen to Paris to our hotel in Bayeux. She made all our dinner reservations in Paris at Michelin star restaurants. She was an absolute delight to deal with, “got” us immediately and her advice was not merely useful but spot on. She knows London as well as Paris and guided us to a wonderful meal at a top Indian restaurant in London. I would use her again for any trip to Paris and highly recommend her to anyone thinking of going there. She’s terrific. Our tour guide gave us an excellent overview of Paris. It was perfect to have a tour scheduled early during our trip so we had a great footprint of the history and architecture of the city as we wandered around throughout the rest of our stay in Paris. Jennifer was very attentive and responsive and planned two fabulous days for us in Brittany. She got us one of the best guides I have ever had and I have had a lot of guides. She has now lined up guides for my daughter in Rome. I highly recommend Jennifer! The guides and tours they provided were stellar. Jennifer Virgilio was thorough and very flexible. She worked with our plans and interests and provided excellent guides – always courteous, friendly and very knowledgeable. The tour guide for the Meuse/Argonne full day tour had trouble finding one of the sites and, as a result we almost ran out of gas. It was pretty tense for a while. However, the tour planner reacted to that promptly and promised to take this up with the guide. She also picked up any fees we had for the art gallery tour in Paris. We were very pleased with the way she handled this issue. Even with that problem, the guide for that tour was charming and gave us so much information about the battlefields that my husband’s grandfather fought at. The rest of the guides and the tours they provided were stellar. My husband, 16 month old son, mother, brother-in-law and I went to Rome in November of 2016 with Jennifer Virgilio. To begin with, Jennifer took us on with very short notice. With less than a month before my planned trip, Wendy helped connect me with Jennifer. Jennifer called me during her vacation and determined exactly what kind of trip my family and I wanted. Within a few days, Jennifer had sent a detailed preliminary itinerary along with various options to either increase the comfort level or adventure of the trip and to either squeeze in a few more sights or to slow down the pace of the trip. My family and I reviewed the suggested itinerary and responded with a few questions. Jennifer answered all of them easily and quickly. She also managed to get us a special access option to the 3rd Ring and Underground at the Colosseum (we loved this!) and suggested two special access options at the Vatican to have a Popes Audience or an after-hours tour (we didn’t do these, but they were amazing options to have). These were just a few of the special options available to us. As this was a vacation that took place over my husbands birthday, I had asked Jennifer if she knew of anything we could do to celebrate his birthday or to make it special for him. When she came back with the suggestion of a Ferrari day trip through Umbria for him and his brother or a day trip out to the Ferrari plant and racetrack, I was amazed! What perfect suggestions! My husband is still raving about the Ferrari day trip through Umbria. Jennifer kept in contact almost every day until the day of our flights with suggestions for dinners or ways to make this an even more special trip. She even suggested a children’s museum and a few playgroups I could take my son to on a scheduled down day and included all the needed contact info to arrange for it if I chose to do it; as well as suggesting a personal shopper that my mom and I could work with if we so desired. During our trip, Jennifer and her colleague, Fabrizio, contacted us every night to be sure we knew the schedule for the day ahead and that there were no changes needed, and to ask how that day’s planned events went. Everything ran smoothly and to plan, with a couple of small snafus that were quickly remedied. This was an amazing trip that included a Vespa tour, a good food tour, a great cooking class, excellent and informed guides, courteous and timely drivers, two great day trips to Florence and Pompeii/Naples, behind the scenes look at the Colosseum and a fantastic Ferrari tour of Umbria. Jennifer is a wonderful and insightful person to have arrange your trip to Italy (I understand she also does the UK, France, Ibiza, and Monaco and I will be using her services again when I travel to those areas). Please be clear in your expectations for your trip, let her know if you are not sure of an activity and tell her of any special occasions you may have or may want to celebrate on your trip. She will figure out a way to accomplish all you hope to do and will suggest some amazing options that you haven’t even considered. You won’t go wrong if you choose to work with Jennifer. We were treated like royalty the entire time. I highly recommend Jennifer Virgilio. She and her company are outstanding. If you are looking to go to Paris, look no further than this treasure trove of knowledge and epitome of service. From our first conversation Jennifer was attentive, enthusiastic, and resourceful and this standard was continually carried out by her staff and her contacts. Our requests were not so easy. We were to be in Paris with our two teenagers for 4 days in August. Because our teens had never been to Paris we wanted to show them some important highlights. And also have fun. AND my husband and I wanted to also find some large pieces of art to ship home (not an easy task in August when so many galleries are closed)…and we wanted to spend just a half day on art. I am a researcher by nature, so when I called Jennifer I had already looked into suites in several top hotels and I knew all the numbers. Jennifer gave me invaluable input about the pros and cons of different properties, and also told me where she had the strongest connections (which could lead to perks for us). I was very pleasantly surprised when Jennifer sent me quotes for stays at several hotels and they were significantly less expensive than what I had found. In addition, she said she would make the reservation using my credit card. So, I dis not have to pay her up front for the hotels, I could still cancel up to a day or two in advance, and the pricing was totally transparent. Many options were great, and we ended up choosing a newly renovated property where Jennifer said she knew we would have a great experience, and she had a close relationship with them. We were thrilled with the hotel, where we were upgraded to a super luxurious suite (granted, in August, the hotel was quite empty…but it was an amazing accommodation). We were treated like royalty the entire time. Jennifer arranged tours for us that were exactly what we had wished for. She even arranged for an incredibly knowledgable art advisor who asked us very detailed and comprehensive questions in advance related to what we were interested in, what we like and dislike, price range, and much more. The art advisor went to galleries in advance for us and sent us images of what he thought we might like. Bottom line: we purchases 3 large pieces we were very excited about during our half day with him. To top it off, we had asked Jennifer if the kids could have a separate tour while we were looking for art and she had arranged a tour of their choice which they greatly enjoyed. Jennifers staff was extremely efficient from when we landed to when we departed, always texting us the contact info for our drivers and guides and checking back to make sure we were happy with everything. They were on top of restaurant reservations and handled all itinerary changes with ease and grace. Thank you Jennifer Virgilio and Queen of Clubs staff for making our short stay in Paris as perfect as it could have been. Just returned from a 30th anniversary trip to France for my husband and I, that Jennifer helped plan, and it was absolutely fantastic! We travel frequently and thought the 3 hotels that she selected were all exceptional, all with great locations, terrific service and at an excellent value. Jennifer made all of our arrangements for us: rental cars, tickets to top of the Eiffel Tower, train tickets, private transfers, tour guides, dinner reservations, etc.. and they were all terrific. She must have a good relationship with many of the companies because everyone did something “special” for us in honor of our anniversary—champagne, special deserts, room upgrades, etc. I started planning the trip about 12 months in advance, and Jennifer was always very responsive, even with a 9 hour time difference, she always got back to me very quickly. I appreciated her understanding about the types of activities that I had told her we were and were not interested in, but there was one thing that I initially said “no” to, and she encouraged me to reconsider. It was a luxury river dinner cruise in Paris and we initially thought it sounded too “touristy”. Based on past experience, Jennifer encouraged us to take it the night of our anniversary. It was absolutely magical, I can’t imagine a more perfect place to celebrate our anniversary. I will definitely recommend Jennifer to my friends who are traveling to France and look forward to working with her again on our future trips to France. Jennifer did a fantastic job. Not only did she plan the entire trip to France with guides and drivers but all the restaurants. I had in mind places to go and a few restaurants in Paris but she supplied the rest. She even reconfirmed our restaurant reservations. All said it was a great experience which made planning a trip a breeze. We contacted Jennifer for an ad hoc tour while my wife and I were in Paris. She did a very good job of suggesting some interesting tours in keeping with our statements that we have been to Paris numerous times before and had visited most of the principal tourist sites and museums. For example, the Aligre market tour that she arranged for us was excellent (providing an insider’s view of the market itself and the best purveyors) and her guide was very personable, knowledgeable and very engaging.